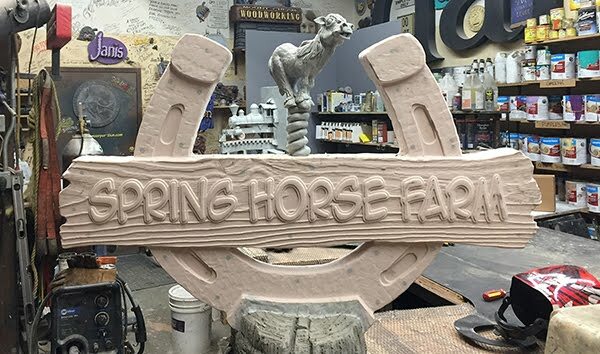 Today, at last, was the time to do the sculpt of the horse on the Spring Horse Farm sign. 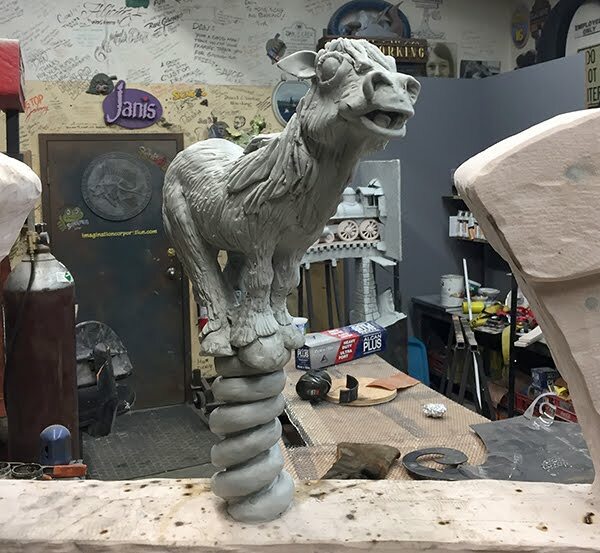 I welded u a quick armature from some 1/4" pencil rod and then sculpted the horse over that. 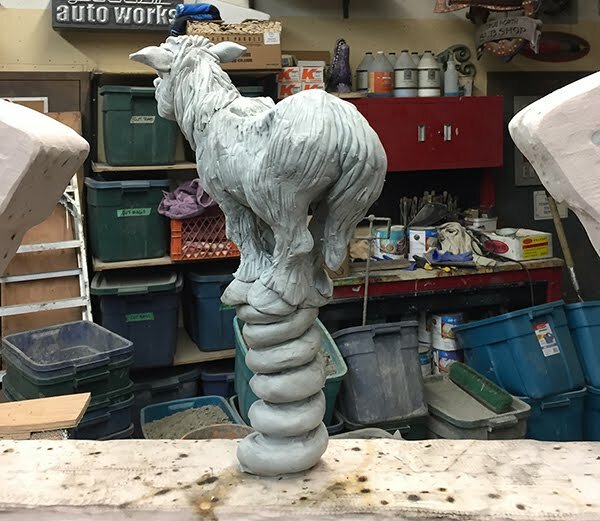 The 'spring' is sculpting epoxy wound around some half inch steel rod.